Last winter I went on a reading frenzy, reading through all of Jenna Woginrich's books on homesteading, raising animals and her transition from web designer to full-time writer and homesteader. Jenna has a wonderful style of writing that makes you feel a part of her life. I read them all back-to-back, still looking for more. 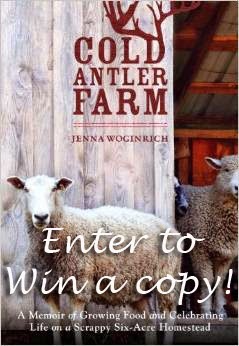 So, when I found out that she has a new book out (as of June 2014), Cold Antler Farm: A Memoir of Growing Food and Celebrating Life on a Scrappy Six-Acre Homestead, I thought it would be great to share her writing with one lucky reader. Cold Antler Farm is a collection of essays on raising food on a small homestead , while honoring the natural cycle of the "lost" holidays of the agricultural calendar. Author Jenna Woginrich runs her own one-woman farm and is well known for her essays on the mud and mess and the grime and passion that accompany homesteading. In Cold Antler Farm, she draws our attention to the flow and cycle not of the calendar year, but of the ancient agricultural year: holidays, celebrations, seasonal touchstones, and astronomical events that mark sacred turning points in the seasons. Amidst the holidays of the equinoxes, May Day, Hallowmas, and Yule, we learn the life stories of her beloved animals and crops--chicken, pig, lamb, apples, basil, tomatoes. May apple blossoms are sweet fruit for rambunctious sheep in June. And come September, the harvest draws together neighbors for cider making under the waning summer sun. The living beings she is tending fuel one another--and the community--day to day, season by season. If you are interested in entering the random drawing for this book, please add your name to the comments of this post. You get bonus points for liking the Crunchy Chicken on Facebook. Just let me know if you're a fan of the page in your comments. If you want an extra entry, go vote in this poll on what you love about homesteading and leave a comment here saying you voted! You have until midnight PST this Tuesday, August 12th to enter. And, now for the legal mumbo jumbo: This giveaway is open to U.S. residents, 18+ only. No purchase necessary. Void where prohibited. The number of eligible entries received determines the odds of winning. Winner will be selected Wednesday, August 13th and will have 7 days to respond. Warning: there be affiliate links in this blog post to help support giveaways such as this. Now, that was easy, wasn't it! I'd love to enter to win this book. I really liked Made from Scratch! I do like your page and took the survey, actually I love your page. Thanks for the chance to win the book! I'd love to win this book! I'm a fan on Facebook. Oh, and I like Crunchy Chicken on Facebook. Just took the survey, as well. This sounds like a book I would really enjoy! This book sounds great. I avoid Facebook like the plague. I also took your poll. What an interesting sounding author! I will have to check out her other books. I'd love to read this book and am a bit embarrassed to say that, while I follow her online, I've not read her published works! This would be a great treat! Glad to see you back and blogging. I've been a fan for years and am also a fan of your facebook page - although I prefer the blog, to be honest ;). 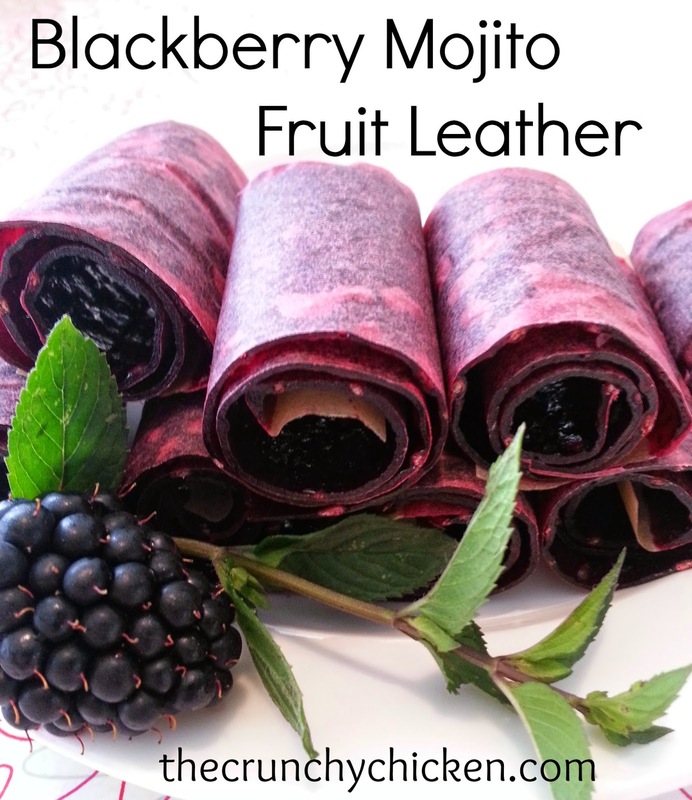 I'm a huge fan of Jenna's as well, and I'm incredibly impressed with her prolific blogging and the fact that she keeps churning out her books while also maintaining her homestead. I wish I had her energy :). I'm already a facebook fan. I enjoy reading about farming life and would like to read this book. I love Jenna! I have read two of her books. I follow her blog. She is amazing and inspiring! I really would love to win this contest! I already follow you on Facebook and I took the survey! Fingers crossed! I'd love to enter to win this book! I just found your page on Facebook and clicked the link to your blog. I love it so far. Where I live it is nearly impossible to "homestead" per say but I lov etrying to integrate aspects of it into my daily life where I can. I'm entering to win!! And I'm a fan on FB. Ps sorry about the beans, they looked really good. Looks like an interesting book. I am a fan on facebook as well. Thanks! I think this book sounds really interesting.